The name of her blog says it all: Will Bake for Shoes. Hearter Brandy Saldana has taken her love of footwear and cupcakes to the next level by turning her obsessions into an online space that’s both beautiful and mouth-watering to look at. Check out our Q&A with the baking blogger below to find out where she gets her inspiration. First of all, love the name of your blog, Will Bake for Shoes — so creative and fun! How did you come up with that? Thank you! My blog’s name “Will Bake for Shoes” came about before the end of my first year of blogging because I started sharing a lot of my cupcake creations on the blog and wanted to incorporate my interests of baking and clothes in one place. The title comes from a cup I labeled “Will Bake for Shoes” that I placed next to cupcakes I brought in to work as a joke that donations would go towards a pair of new Manolo Blahniks. I did eventually buy the shoes, but did not sell nearly enough cupcakes for them! Your photos are amazing and don’t have that “re-touched” feel that many bloggers seem to favor. How did you become such a skilled photographer and what type of camera do you use? Is there any editing software or apps you prefer? My boyfriend will be happy to hear that. His name is Armando and is the one that actually takes a majority of my outfit shots now. When I started my blog, I took most of my photos on a tripod with a timer or asked family or friends to take my photos until he moved in with me. I do take photos for my blog every now and then using my Canon T2i Rebel while he likes to switch between my camera and his Canon 7D. He taught me everything I know about photography and I like being able to take photos under manual mode and be able to adjust the settings so I can get the picture I want without needing to edit it later. The only editing I have been doing on photos is reducing their quality through a script in Photoshop so they can load faster on my site. That was also created by Armando. Other than that, I prefer to just leave the photos as they are. What do you think is the most rewarding part of blogging and promoting yourself via social media? What keeps you motivated? The people and friends I have made have been the most rewarding part of blogging. Blogging is not just something you do on your own – it requires some networking and community. I love that I have met like-minded who love fashion, are passionate enough to write about it and are not afraid to put themselves out there. I am always happy to see when others love something I share or post – and the support I receive from the blogger community is really sweet. I stay motivated thanks to the people I have surrounded myself with who are also dedicated to their blogs, but also from the support from my family and Armando. I truly love to blog and it I want to keep doing it as long as I can. I am proud of what has been posted so far on Will Bake for Shoes and look forward to keeping it up so I can look back on how my style has evolved. Do you have a favorite user on We Heart It to follow? What types of images does he or she post? I enjoy following Manners and Moxie (Manners and Moxie) and Adiel (Triplyksis) heart. Manners and Moxie hearts beautiful fashion photography and travel destinations. Adiel does a fantastic job collecting nail art inspiration and the fashion photography she hearts is also really inspiring. What’s the first image you hearted? What was the most recent? Any fun stories behind these? I cannot remember my first We Heart It image I hearted, but I do know it happened when I was on a bus in Japan. It was late and I had Wi-Fi on the bus, and I had joined before I boarded my plane. I was addicted during my entire vacation, and spent most of my nights on the app. Lately I have been interested in hearing images of inspirational women on my collection Inspiring Women. I recently attended the LUNAFEST film festival and was inspired by the stories about women made by female filmmakers. What’s a fun and easy DIY or baking project someone with a free weekend might want to tackle? Feel free to link to a Heart on your canvas or back to your own blog! I think an easy baking project anyone can do is making beachy Hawaiian theme cupcakes. Fall has begun, so I think it would be a great idea to say Aloha to Summer with these easy to make cupcakes. All you need aside from cupcake liners, cake mix and frosting are tropical umbrellas, cocoa powder, and crushed graham crackers. I use a Wilton 1D tip to make swirls of frosting on my cupcakes, but a gallon ziplock bag with a snip at the edge of a corner can also get the job done. Finally, what is your favorite thing about We Heart It? I love being able to Heart things that I can use as inspiration later for an outfit or for cupcake decorating. It is also helpful that I don’t have to explain why I like something, I just do. I have really enjoyed the Inspirations feature lately – it narrows down to the things I am interested in seeing, letting me Heart more than I would just on my feed. I am excited to see what else We Heart It comes up with and look forward to sharing more images from my site with other hearters. So, are you a hearter with a cool story to tell? Let us know and you could be considered for our next feature. Maybe not, but it should be. That’s why we’ve teamed up with our friends at Hollister to ensure your wardrobe is shimmeringly fabulous this fall. And the best part? They’re giving away a $500 Hollister gift card to jumpstart the process! Looking for some inspiration? Check out our collection! PS — don’t forget to check out the official contest rules for full details and eligibility. While covering New York Fashion Week last month, we spotted a photographer outside Lincoln Center, snapping street style pics right alongside the pros. Obviously we just had to stop her–and were shocked to find out style blogger Salli Mandel of Style by Salli is only 15! If you’ve ever wondered how to go from casual consumer to fashion blogger extraordinaire, read on — she’s got tons of tips for appropriate school shopping, getting creative with clothes and how she plans to turn her love of fashion into a career. Hey Salli — thanks for chatting with us! Let’s start with the basics: what’s your favorite part of picking out your outfit and getting dressed in the morning? I actually pick out my outfit the night before, or have an idea as to what I want to wear. Maybe I want to highlight a certain jacket, shoes or accessory. I love experimenting and trying new things [and] I’ve tried a ton of different styles. I usually pick out one item I know I want to wear, and then build around it accordingly. It’ so much fun to see what I can come up with, especially when I layer things, crop things, or sort of make items “different” so that I can get a ton of looks out of one item. We know you write a lot about your favorite budget fashion websites — what the items you couldn’t live without, if you could only pick five? My black sandals from ASOS (that were only $13!). They go with everything (no exaggeration) and are super easy to walk around in all day. My black Céline nano. It’s important to have a basic bag. I invested in mine so I could get one I knew wouldn’t go out of style and that I could keep using a ton. A vest. Whether it be the infamous J. Crew herringbone vest, that I luckily grabbed at a sale over the summer, or a cheaper Old Navy vest, I find myself layering vests into my Fall and Winter wardrobes a ton. They are really versatile, especially a good black or navy one, and can be worn in so many different ways. A t-shirt dress. On those days when I can barely get myself out of bed to go to school, I like to wear something casual that is easy to just hop into and go. I love Brandy Melville t-shirt dresses because they’re really soft and are the perfect length for school. Pop one on, slide into some cute sandals, tie a plaid around your waist, and you’re good-to-go. My J. Crew field jacket. I have one in green that was a total score from the J. Crew Factory store and I’m so happy I got it when I did! It’s the cutest jacket and is perfect for layering over a button down, shift dress, or even a crop top. How did you decide to start a blog? Have you always been a creative person? Ever since I was little, I’ve been really creative. When I discovered blogs, I decided it was the perfect thing for me because it was something that would make me really happy and also help me later in my life, applying to colleges and making connections in the fashion industry. What do you like to do, besides blog, to be creative and experiment with different mediums? You attended Fashion Week in NY this year — tell us about that! How did you get hooked up with such an amazing gig? Any advice for aspiring fashion bloggers? Yes! I’m super passionate about my blog and I want it to go far (like every other blogger out there). It’s sort of a confusing story, but I was emailed by a photographer’s assistant just to say hello and that she saw my blog and wanted to introduce me to the photographer. Of course, I was excited and got to talking with her and they said that they had a spot on their team to come photograph street style at NYFW. She asked me some questions about what I would add to the team and what my strengths and weaknesses are, and not long after she said I would be a perfect fit! I was ecstatic and I knew it would be an incredible experience. I really put myself out there with my blog and try to make as many connections as I can with other bloggers, businesses, and photographers. While going into the shows is amazing, it’s really hard to come by tickets and invites like I did. I got a ton of emails and comments on my blog and Instagram about “how I got in” and other questions after I announced the news. My advice is to really get yourself out there and take as many opportunities as you can. They’ll start coming more if you really get people’s attention. I had planned, if I wasn’t invited into the shows at Fashion Week, to just go and take street style pictures outside the tent, just so I could experience it. I recommend doing that, especially if it isn’t a huge hassle to get to the city, because while the shows were an amazing experience, I met more people outside the tent while shooting street style than when I was inside. I met a ton of bloggers and other people who would approach me, or I would approach them, and we’d exchange cards. That was the most inspiring part of my trip because connections are a huge part of blogging and being in the fashion industry. Who are you favorite people to follow on We Heart It and what types of images do you typically gravitate towards? You’re only 15, but have you started thinking about a career yet? How important to you is being creative in the future? I have a huge dreams for myself, which can sometimes be disappointing, but overall I think it makes me work harder to make them come true. I dream to be a fashion business owner, but I want my blog to always be a part of my life. I hope to study business in college and hopefully travel around a lot. I’m a traveling addict and Europe is my absolute favorite place on Earth. Like they say, you can take a girl out of Europe, but you can’t take Europe out of a girl! I always want to use my creative skills, so a job that doesn’t involve my creativity is probably not the job for me! If you’ve got a style blog, link us to it in the comments, or drop a line for Salli. And of course, don’t forget to follow her on We Heart It! Want to be featured too? Let us know! With temperatures dropping and leaves changing color, we’ve got one thing on our mind: fall fashion. And, more specifically, new jeans! That’s why we’ve joined forces with our friends at JCPenney to kickstart your fall shopping extravaganza–and what better way to do so than with a $100 JCPenney gift card? It’s easy to get started–just follow these three easy steps! Need inspiration? Check out our collection! 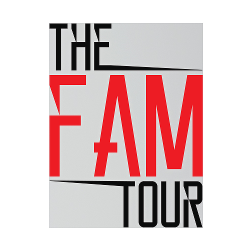 Hang with We Heart It and The FAM next week? Or nah? We Heart It and the social media trio Nash Grier, Hayes Grier and Carter Reynolds of The FAM Tour will be at Wizard World Nashville Comic Con this Saturday and Sunday — so if you’re in the area, make sure to stop by and say hi! There’s plenty to get excited about — expect meet-and-greets, autograph signings and photo opps with the people who inspire you, not to mention tons of amazing We Heart It swag. Get your tickets and we’ll see you in Nashville! Congratulations to our three grand prize winners, who each won a We Heart It & Social Con prize pack including merchandise autographed by Cameron Dallas, Nash Grier, Hayes Grier, and Carter Reynolds! Thanks for participating in another collection challenge! Please stay tuned for what’s coming up next. And if you missed Social Con Chicago, be sure to follow We Heart It’s collection to see some of the action. As always, please leave us a comment with your ideas for the next collection contest theme! You’ve added your favorite images to collections, now tell the world what they’re about! When you edit your collections on our site, you now have the ability to add and edit a description. Use a word or two, a quote, or lyrics – whatever helps you express what’s in your collections. This feature is now available on Android and it will be coming to iOS very soon.